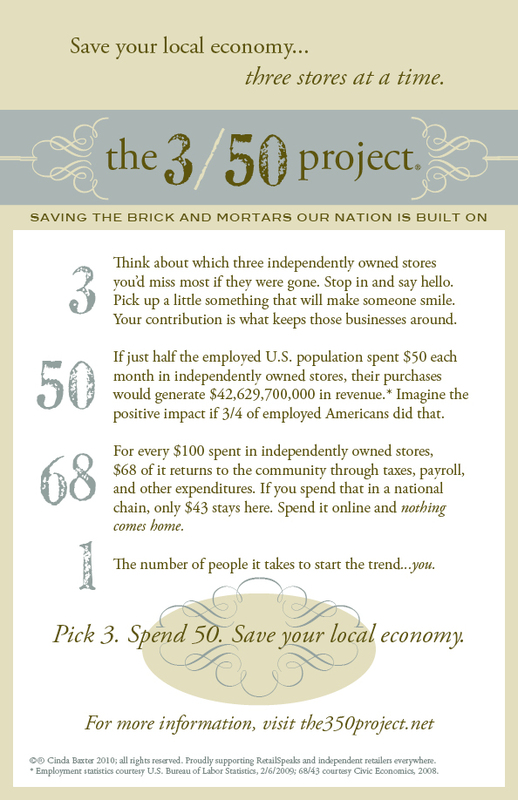 The 3 / 50 Project. 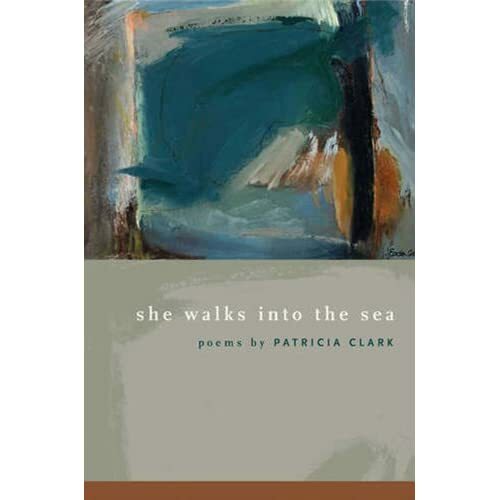 She Walks Into the Sea, by Patricia Clark (Michigan State University Press, just released.) Her name rings no bells for me, but her picture looks familiar, so I’m thinking I must have seen her listed in her publisher’s sales catalog. I was introduced to her through SHE WRITES, and read about her online. Then she visited this blog and I became a fan for life. I can’t wait to dig into this new collection. The Art of Syntax: Rhythm of Thought, Rhythm of Song, by Ellen Bryant Voigt (Graywolf Press). The Art of... is a great series from Graywolf, and I love Ellen Bryant Voigt’s previous works of critical prose. And this is a subject that I could use exploring right now, the various ways poets structure their poems. Ordinary Genius: A Guide for the Poet Within, by Kim Addonizio (W.W. Norton & Co.). On the one hand, I’m a sucker for this sort of thing. The autodidact in me can’t resist. But I’m afraid it’ll turn out to be a book more suited to the beginner. It has more than 300 pages, so I’m optimistic. And my reading list would not be complete without mentioning my own chapbook. Again. Because the pre-sale is still going on for a little bit longer. If you want to order a copy, just click on the cover at right, or visit my Hunger All Inside page to get a gander at a few blurbs and a sample poem. The more books that are ordered, the better my print run will be, so thank you! Draft of the Week, #2. I don’t think it’s ever happened that I’ve written a first draft straight through before beginning revisions. I don’t know enough about where a poem’s headed to get it all down right away. Which is probably one reason the blank page is such a daunting prospect. Yet, when you sit down, neglect your family and stay sat, it all works: I present you the second installment of my Draft of the Week series. I’ll leave it up until Monday some time. Honesty vs. Truth in Poetry. I was reading The Bloomsbury Review the other day — the new issue (May/June/July 2009) just arrived in my mailbox — and came upon something that caught me more than a little off-guard. “To my knowledge [these poems] are the best I could possibly do. They’re as factual and as honest as they could ever be. And when everybody was leaving the reading, I heard a couple people saying things like, ‘He seems so sincere!’ And I wonder if people, when they read some of these things, think I made them all up. I would prefer that they not think that. With all due respect to Mr. Kuzma, who is clearly very successful, so whatever he’s doing is working for him, but — really? Screenwriting is all revision, but he doesn’t revise his poems at all? All these years of writing and publishing poems, and he’s fallen in love with polishing his writing in another genre entirely? This is old news, an old debate. But it bothered me. A lot. I gasped when I read it. Swore audibly. I read a poem. Which I didn’t care for. Which is not the point. Many poets write poems I don’t care for. I don’t care for some of my own poems. But it seems to me that this poet cares for his stories more than his poems. I don’t mean the screenplays, but the stories which inspire his poems. And I guess I’m just hoping that he’s not passing this misplaced fidelity on to his students. When the bookstore closed, I didn’t just lose an income. I lost the place where passionate conversations about books are conducted as a matter of course, as well as daily interaction with the people having those conversations, with me & around me, both fellow staff & customers. Being a part of the buzz. I assumed I’d be able to keep in adequate contact with most of my bookstore friends via email. Silly me. If you want to keep in touch with anyone in this world, you have to join Facebook. I’m not kidding. Even my mom is on Facebook now. This post is not a diatribe against Facebook, quite the opposite. I love Facebook. It can indeed be a significant black hole wherein I lose chunks of my day, but so can television. I don’t watch TV anymore, so I figure I can afford a little time-sucking endeavor. The early days are especially intoxicating, getting reacquainted with old friends, becoming “friends” with amazing writers. But I settled in, found a groove, and, generally, manage my time well. I don’t really consider Facebook “networking”, however. It’s like a big party full of people, some of whom you’ve known all your life and others you seem to bump into everywhere, whose names you can never quite remember. The contact is glancing, snippets of comments here & there, but it’s friendly, and fun. Sure, it’s superficial, but I’d argue that you can tell a good deal about a person by reading a week’s worth of her Facebook status. And I’d argue that those who are using Facebook for wholly marketing purposes are not only missing the point, but they’re probably not being very successful at it either. I’m aware and have made use of the self-promotional tools of Facebook. Of course! But any friend who is merely a walking advertisement is all too easy to block from my newsfeed. There’s a very large swath of women writers represented here, including poets and bloggers. And while networking is much more prominent, there are real conversations occurring: any member can start a group, and within those groups are even more threads of advice and information, questions and in-depth explorations. The vibe is one of enthusiastic support, and I’ve already increased by tenfold the number of women writers I know. The discussion groups allow a different way of knowing each other beyond the usual virtual kaffeeklatsch. All that, plus each member can personalize her profile page. Um, I’ve spent a rather excessive amount of time playing with my page, but I might be done. For now. The pitfall with personlizing is how personal the process becomes! You may be wondering, what about Twitter? Not for me, it’s just too micro. It seems to me that for Twitter to be truly useful, you need an iPhone or something of that ilk. I don’t even have a cell phone anymore. But if you’re on Facebook, you can find me here, and I’m here on SHE WRITES. And if you happen to see my mom out there in this brave new world, be nice to her; she’s trying. On a related note — related by virtue of being about me: My chapbook, Hunger All Inside, is still available for preorder from Finishing Line Press. If you haven’t yet ordered it, and wish to, you can click here for more information, or click on the book cover at the top left to go straight to the Finishing Line Press new releases page. Thank you! I’m already warming to this new poem project. Makes me feel all purposeful and productive. I guess I respond best to deadlines. Remains to be seen if this will be a plus or not. This draft will probably remain up until Sunday, as we’re going to visit my mum for the weekend. A Draft a Week, She says. I’ve never posted by any particular schedule here, no deadlines, no real structure to speak of. When I still worked at the bookshop, I wrote about forthcoming books, new books of poems or books about poems, books that excited me. With the bookstore gone, I still do that, but to a lesser degree: I don’t have an office-ful of catalogs to mainline anymore. April is the only time I work within a framework: NaPoWriMo. Writing a poem a day, and then posting it for 24 hours, is exhilarating. However, I don’t have that kind of stamina, or time, to do a poem a day, every day, forever! I haven’t completed a poem since April. I let myself off the hook for May, because, hey, I needed it, I’d just written 30 poems! But that’s the danger in any time off, isn’t it? You lose the momentum, the habit, fall back into sloth. Thus a new proposal, a new project, for which I have no snappy tagline: I will post, for at least 24 but no longer than 48 hours, one new poem a week. This is the most I promise. I don’t know upon which day of the week the poem will fall, only that no week will pass without a poem. I was hoping to end this announcement with a new poem, but I didn’t manage to get very far today — look for it tomorrow afternoon, or the evening at the latest. Let’s end with a poem anyway, just not mine. Leslie Harrison’s Displacement was chosen as the winner of the 2008 Bakeless Prize in poetry by Eavan Boland, and her book was just released this week. I read her poem, “Love”, in Memorious earlier this year, and was enthralled. Go visit Memorious here and fall in love yourself. She’s that good.